Do melatonin and alcohol mix? It’s an important question with a complicated answer. You may already know that melatonin is a vital hormone that helps regulate your sleep and wake cycles each day. You may also know that your body makes melatonin on its own, but you can supplement your natural melatonin with over-the-counter pills. But, as your melatonin levels are rising in the evening, you may be having a glass of wine or a couple of beers. What happens when the alcohol and melatonin meet? Is it safe to take an over-the-counter supplement after imbibing in the evening? Those questions (and others) about mixing melatonin and alcohol are answered below. Is Melatonin a Hangover Remedy? Before we dive into how melatonin and alcohol interact, it’s important to understand how alcohol affects sleep in general. Alcohol creates both delta activity (slow-wave patterns associated with deep sleep) and alpha activity (a brain pattern that occurs when we’re awake but quietly resting). These two patterns compete with one another and may even prevent you from enjoying restorative sleep. Alcohol activates your bladder, which means that you will wake up even during deeper sleep with an urgent need to use the restroom. As noted above, it’s not a good idea to use both alcohol and melatonin at the same time. 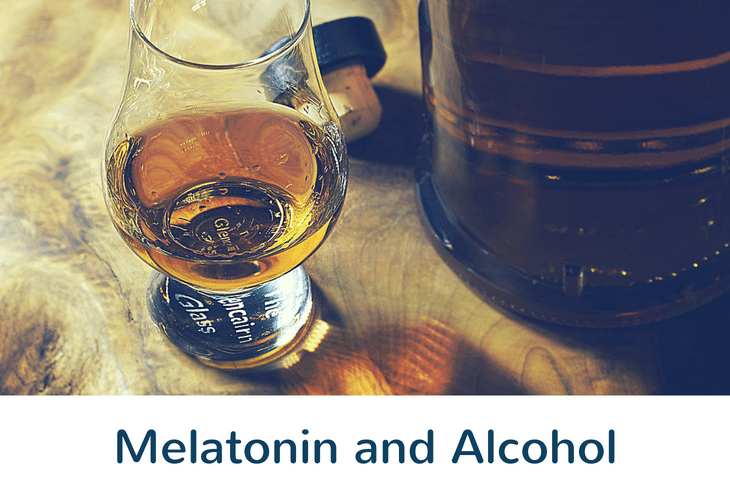 While you may enjoy a deeper sleep than you would when using alcohol alone, the side effects can be dangerous and have long-term effects — and there’s an additional reason to avoid using melatonin and alcohol simultaneously. Using melatonin and alcohol creates an unusual hangover effect. It’s not a typical alcohol-only hangover — it’s more of a grogginess hangover. Here’s how it works: A single dose of melatonin (often 5 mg) mixed with alcohol raises the body’s plasma melatonin levels, which means you’ll have a hard time waking up your mind the next day — even after you’ve physically woken up. Addiction: The most important thing to know about melatonin and alcohol withdrawal is that melatonin is not clinically addictive. That is, you won’t be replacing an addiction to alcohol with an addiction to a sleeping aid. Bodily Response: While melatonin is not clinically addictive, your body may develop a tolerance or even a dependency on any type of sleep aid you choose to use — melatonin included. Long-Term Effects: The long-term use of melatonin can lead to depression or an increase in the severity of depression, which naturally has unique implications for those suffering from alcohol withdrawal symptoms. There are alternatives to melatonin for those suffering from alcohol withdrawal. For example, L-Tryptophan is an amino acid found in the body (famously increased by eating turkey). But what many don’t know about L-Tryptophan is that it helps your body create more melatonin naturally. Because L-Tryptophan poses fewer risks for depression and dependency, it can serve as a better alternative to more commonly known and used sleep aids like melatonin. Melatonin Dosage: What’s the Right Amount for You? There are few things in life more important than getting a good night’s sleep. A good night’s sleep helps both our brains and our bodies recover from long days.Going any extended period of time without good sleep is likely to tax both the brain and the body. We’re also fortunate to have access to over-the-counter supplements like melatonin. Just remember that melatonin is best used to reset your sleep clock when you’re traveling around the world and experiencing jet lag, or when you’ve stayed up too late and want to get back on track the next night. Melatonin is not meant to be used as a daily sleep aid, and it’s certainly not designed for mixing with alcohol. While the effects of mixing melatonin and alcohol are unlikely to lead to an emergency room visit, they do pose enough long-term risk that blending the two should be avoided. 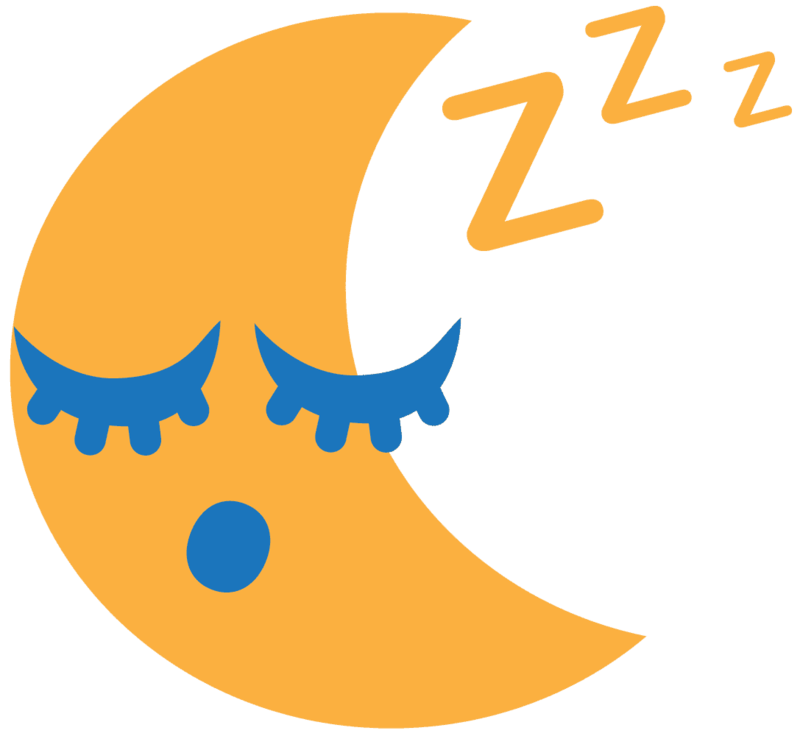 As always, if you have questions about melatonin or other sleep aids, you should consult your primary care physician and get his or her advice on how to approach getting better sleep, whether you use alcohol or not.